Anonymous FTP will grant any and all users the ability to access your "upload" directory, or any directory on your domain that has been set for "public" read/write permissions. Anonymous users will have access to upload or download files to and from your domain. You must set the appropriate permissions for your directories to restrict anonymous FTP access. This is needed to ensure that anonymous users will not be able to access any existing files or directories. You can inhibit access to specific files and directories using the File Manager by disabling public read and/or write access to the files or folders you don't want people to see (ie. cgi-local). 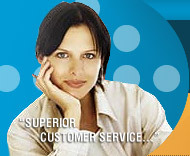 As the account owner, you are responsible for any and all files that are stored on your domain. This would include files that were uploaded by you as well as by anonymous FTP users. With the use of anonymous FTP, your site is susceptible of becoming a "w arez" site. Typically, these are sites that are used by "hackers" to trade (upload/download) illegally pirated copies of software programs with one another. As the account owner, the complete content of your account is your responsibility. If your site be comes a trading post for "warez" programs, you may face legal action that can be taken against you by the programmers/software companies of the copyrighted software, in addition to your account being deleted from our servers. Please refer to our Policy, Guidelines, & Disclaimer for more information. Any and all FTP download transfers, anonymous FTP included, will be used in the calculation of the total data transfer for your account. If this total data transfer amount exceeds the limit that is set for your plan, you will be responsibility for any and all overage charges that occur. Please Note: There will be NO exceptions made for these overage charges. Once anonymous FTP has been enabled, it will be your responsibility to monitor the anonymous FTP activity for your account. All anonymous FTP activi ty is stored within the "xferlog" file. This file contains entries for each and every anonymous FTP upload/download session. This file is located within the /stats directory of your account. There is also a link provided off the "View your web usage stati stics & logs" page of your account control panel. If you are going to allow people to upload files to your site, make sure you keep track of your disk space usage via your Control Panel. Do not allow your disk space usage to get too close to your maximum disk space allocation or you may experience probl ems accessing your site via FrontPage and/or be unable to upload or modify files. Please contact Technical Support in regards to additional disk space. Once you enable ANON FTP in Account Settings within your Control Panel, files can be accessed anonymously via FTP client.